When you wake up to an alarm in the morning after a full nights sleep, you can feel quite groggy with impaired alertness, which is referred to as ‘sleep inertia'. The negative effects of sleep inertia, are generally stronger the longer you have been asleep. During normal sleep, your brainwave frequencies will move up and down through a curved cycle, which is often quoted as lasting around 90 minutes. If your alarm goes off while you are down the bottom of this sleep cycle, you will be trying to wake up while your brain and body are in a very deeply relaxed state, which isn't an easy thing to do and it takes quite a while to fully wake up from this state. In an ideal world, you'll want to wake up when your dominant brainwave frequency is right near the top of this sleep cycle because it's much easier to wake up and you'll be able to become fully alert much faster. The same thing applies to a power nap. 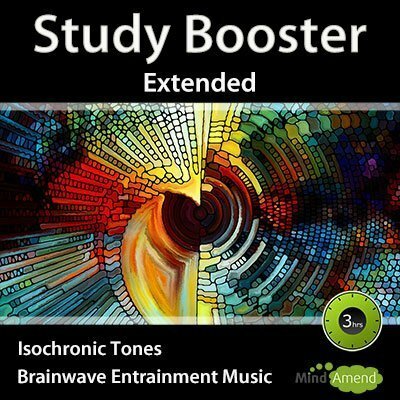 You can reduce the negative effects of sleep inertia from a nap if you can wake up with your brainwave frequency up in the more alert state of Beta. 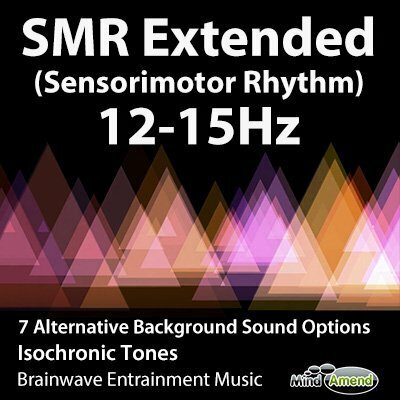 During the last 3 minutes of the session, th frequency of the tones is gradually increased up to 12Hz in Beta. This helps to overcome the problem of ‘sleep inertia' and the recovery period you normally need after a nap. Napping in the dark works best. If you're not able to nap in a dark room, use an eye mask to help block out the light. Try to get warm – sleep studies have shown that while we sleep better at night if we are cooler, we nap better during the day if we are warmer. 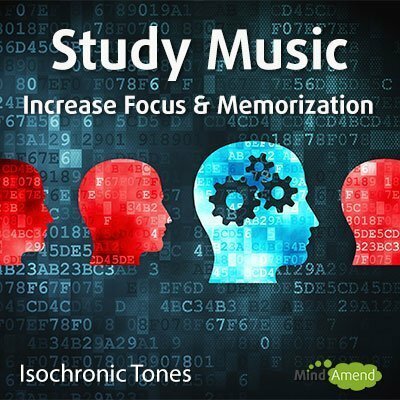 Headphones are not required for this session, but you might find using them helps to block out external noise, especially the over ear type. Laptop – A laptop can be easily used in your bedroom, but we recommend the use of external speakers, as the laptop speakers are usually not powerful enough, to hear the entrainment beats effectively. Standard Headphones – Although not always suitable while sleeping, you can try using either the smaller ‘in-ear' earphones or the bigger ‘over ear' headphones. This will depend on what you have available and the level of comfort you require. 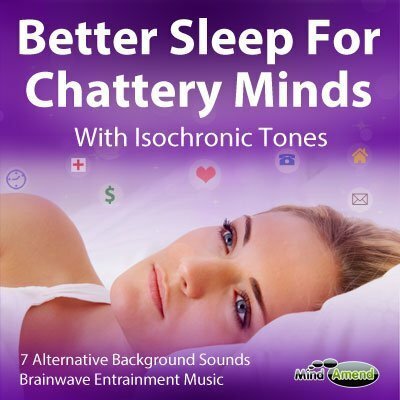 Recommended Headphones – If you find your existing headphones uncomfortable to use while napping, there are headphones on the market specifically for use while sleeping. The ones I like to use are called ‘SleepPhones'. They consist of a headband with flat speakers embedded inside, which you wear over your head during sleep. They are very comfortable for using while in bed or lying down. 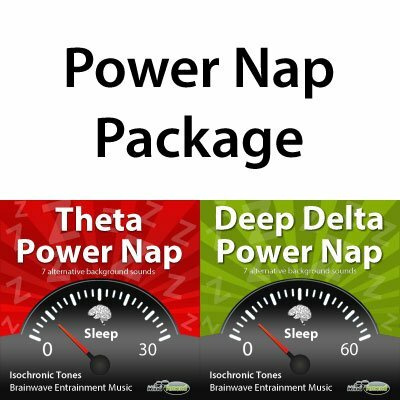 Get a package discount here when you purchase Theta Power Nap with Deep Delta Power Nap (60 minutes). 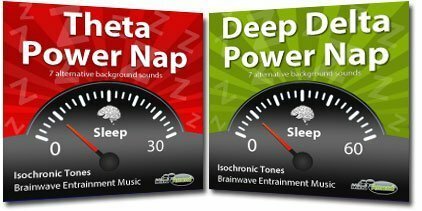 Deep Delta Power Nap works in a similar way to Theta Power Nap, but the session is 60 minutes long instead of 30, and the frequencies go down much lower for a deeper power nap. You might be thinking, why don't I just listen to the 60-minute version for 30 minutes? A key part of these power napping sessions is the way they raise the frequency towards the end of the track. 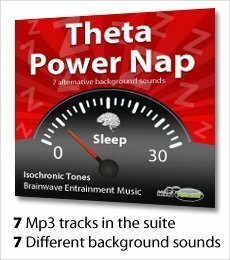 If you napped for 30 minutes while using the 60-minute session, you would finish your nap while your brainwave frequency is still down at 2Hz in Delta. This would effectively be like being woken in the middle of the night, during a deep sleep and would result in a higher level of sleep inertia and grogginess. If you plan on power napping for different time periods, depending on what time you have available, it's important to use the right session to match the time you plan on napping for.